Due to it’s finely filtered processing, the imuno™ molecule is tiny yet lends great power to the immune system. It removes deep congestion completely. Bravo GcMAF Yogurt is a refreshing, cultured probiotic yogurt formula designed to renovate the immune system, detoxify, and improve digestion. Creating a deep, crystal clear glowing beauty is no accident! You may want to adopt our pearls of wisdom for stunning beauty that’s more than skin deep. Renovation is the solution by gently moving all forms of deep congestion out of the body. The products developed by Dr. Marco Ruggiero give us back our health and our youth. Bravo GcMAF creates a microbiome which can insulate the tissue from the invader until it can be removed, giving relief. imuno™ “passes through masses”, showing them to the immune system, disassembling what is unwanted, and moving it out through detoxification pathways. imuno™, Bravo GcMAF & keto together create a brilliant, squeaky clean and radiant beautiful skin over the whole body. imuno’s revolutionary anti-aging process has people buying 2 & 3 vials at a time because they feel good to the bones! Bravo GcMAF yogurt restores your immune system and gut with a shimmering aliveness. Dr. Marco Ruggiero did 324 iterations of the Bravo yogurt formula before he succeeded in creating a microbiome which could sufficiently support the immune system. Non-Dairy Bravo probiotic drink contains all the actions in one product: immune restoration, detoxification, and deep congestion removal. imuno™ restores the body from disconnection and disorganization for restorative recovery. As part of the protocol, Dr. Marco Ruggiero’s products are specifically designed to be used with a ketogenic diet. imuno™ is newly formulated, based on past experiences and scientific principles of it’s predecessor Rerum. It represents a quantum leap when compared to the previous immune support formulas. 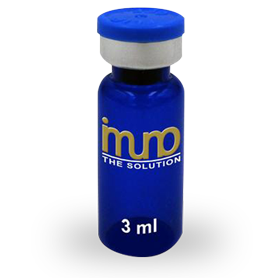 imuno™ is revolutionary and contains a patented component which is twice as effective as comparable formulas. 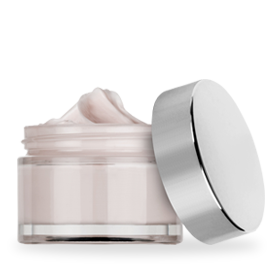 imuno™ is a vegan product which especially helps to keep it light and pure. It does not contain any products of animals or human origin. imuno™ is designed by molecular biologist, Dr. Marco Ruggiero, MD. 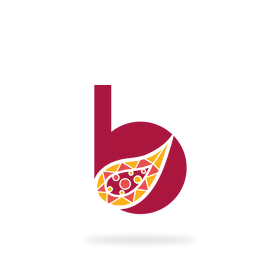 Ph.D., author of peer-reviewed scientific papers on quantum biology and immunotherapy. It is made from lighter, cleaner, and more refined vegan ingredients that are finely filtered so that the particles can reach more deeply into the hidden reservoirs of our bodies. Restoration is the solution, imunoʼs tiny particles make their way through our bodies with gentle movement washing our cell walls and turning on the cellʼs power creating a glow of energy which radiates from us creating beauty and many diverse levels of healing. The massive exodus of unwantedness is effortless and restores our energy and direction in a revolutionary new way, thanks to Dr. Marco Ruggiero. "I love this product. I am using the yew tip salve with 6 drops of imuno. I have been applying it to two cysts for two weeks and both are starting to get smaller. I can feel this product work in my body. I expect them to dissolve completely as I continue to use imuno." "I love this product as I use it on my skin! I’m seeing age spots fade and a tightness returning to the skin!" These products, protocols, and ingredients are not specifically approved by the FDA. The ingredients of both Bravo and imuno™ are FDA approved individually. This protocol is not intended to treat, diagnose or take the place of medical treatment. Consult your health care professional when using any of our products.